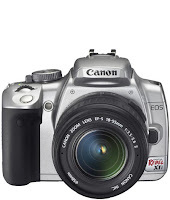 Canon EOS Digital SLR Rebel XTi (silver) Right now, I truly want to get back into photography as well as play around and experiment much more in-depth with a SLR camera. What better choice than to get a Rebel XTi. It's advanced, sophisticated but yet a great entry-level SLR. It offers an unbeatable combination of performance, ease-of-use and value. I think this camera is well-suited for me at the moment because it's under $900. Can't wait until I get my hands on one of them! 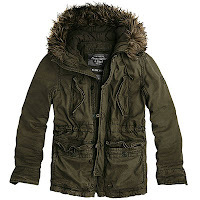 Abercombie & Fitch Wilcox Jacket (olive)- For the coming cold winter, a guy like me must keep warm and look good at the same time. I really haven't shopped much of A&F these days (used to ritually shop there two years ago), but this jacket is something I'll definitely want in my closet! Triple Five Soul Worker Outer Bomber (black - I simply just love this jacket. What else can I say? Triple Five Soul is one of the clothing brands I sport among others. For sure, it can be found at Urban Outfitters. I want it! 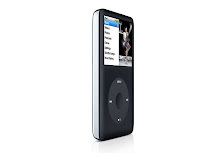 iPod Classic 160GB (black) - Well, it appears that my 30GB iPod can no longer have additional song files uploaded onto it simply because it ran out of hard drive space! So, at the moment I'm pretty much stuck with shitloads of new music files on my Sony Vaio laptop that needs to eventually get onto my iPod. And I'm tired of having to replace some songs on my ccurrent iPod with newer songs that I want to hear because it is annoying and inconvenient. Therefore, I need a newer one with more hard drive memory. Shortcomings by Adrian Tomine - Simply the most anticipated graphic novel of 2007, Adrian Tomine’s first long-form graphic novel, is the story of Ben Tanaka, a confused, obsessive Japanese American male in his late twenties, and his cross-country search for contentment (or at least the perfect girl). I'm a big fan of Adrian Tomine's works and so this is a must have for me.